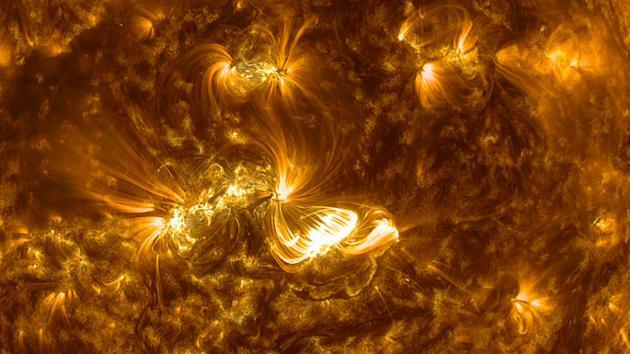 The space agency stares right into the star, capturing these truly sublime images. 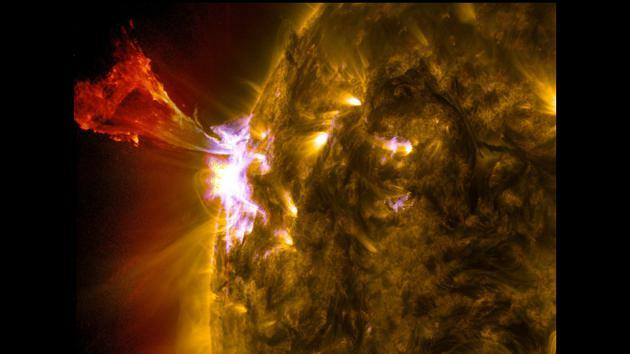 NASA isn't afraid to stare into the sun. In fact, it's imperative that it does. 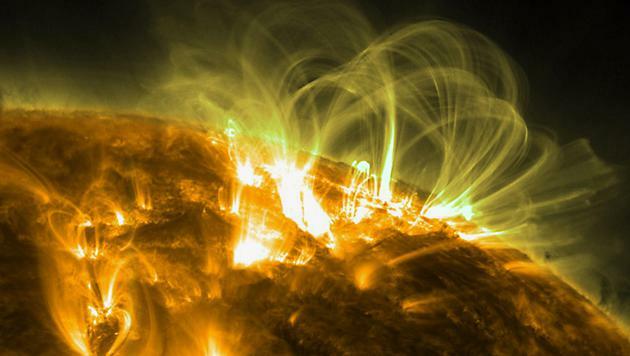 A severe enough solar storm could wipe out a portion of the U.S. power grid, sending us temporarily back to the Dark Ages—without electricity, without cable, without selfies. 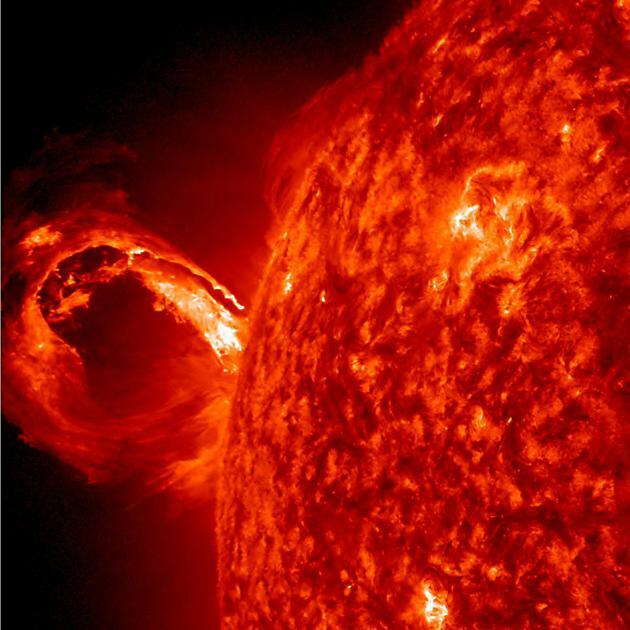 NASA Administrator Charles Bolden put it like this last year: Solar weather is "a problem that crosses all borders." 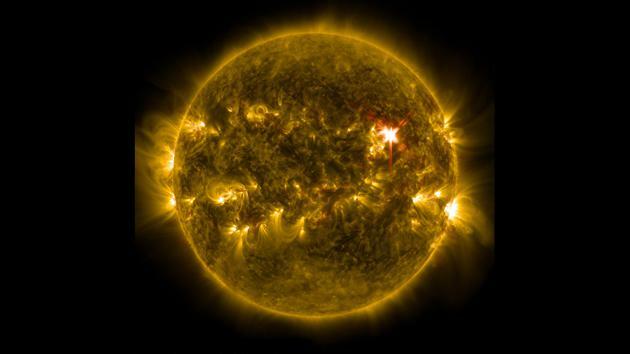 In 2010, NASA launched the Solar Dynamics Observatory, a spacecraft equipped with instruments to improve our understanding of our star's magnetic field, with the hope of achieving better solar forecasts. 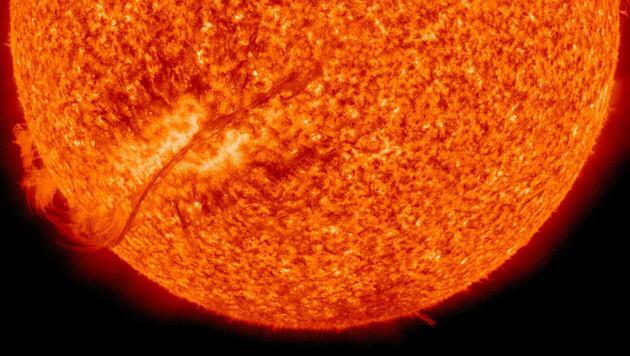 If we can predict the next Carrington event—an 1859 solar storm so strong it temporarily powered telegraphs—we may be able to avoid trillions of dollars in damages. The results of the mission, so far, have been as informative as they are beautiful. The images that the observatory has beamed back to Earth are sublime in the truest sense of the word—evocative of sheer power and with sharp contrasts. They also come in nice colors. 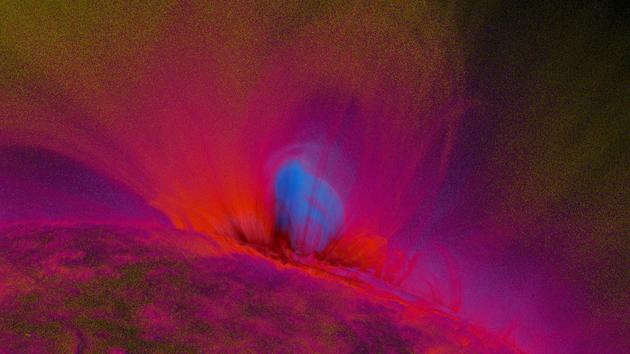 Recently, I spoke with Dean Pesnell, a SDO project scientist, about how these remarkable images are created. Below (interspersed among the photos) is a lightly edited transcript of our conversation. 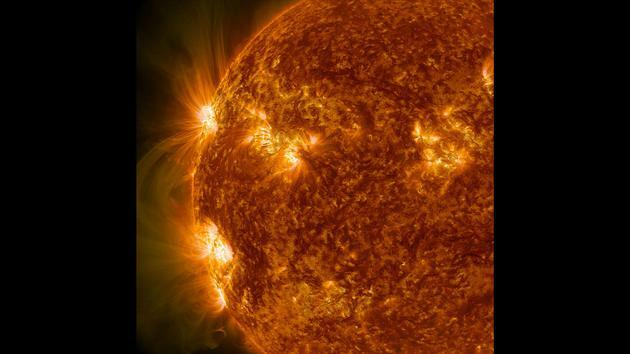 So, how does NASA take a photo of the sun? We take a camera and we take a picture. (Laughs) We take a telescope. The easiest to understand is the one that takes the lovely color pictures of the corona [the outer layer of the sun] that everybody likes to look at. Those telescopes are very similar to the ones we use on the ground, but they have special filters that allow only this extreme ultraviolet light to get through. And then they have a CCD [an image sensor] where the pictures are taken. We have a lot of fancier electronics, but in reality it looks a lot like a digital camera. 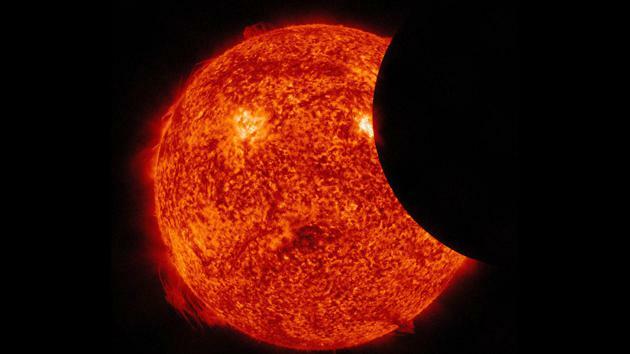 Have we been ever been able to see the sun with such great detail before? We've been taking pictures of the sun at these short wavelengths actually for quite a while. What we're doing differently with SDO is that we are taking a lot of them. It's amazing the difference in your understanding when you take a picture every 12 seconds. Before it was every several hours or every 15 minutes. But, a solar flare has happened in that 15 minutes and you don't get to watch it. Whereas now, we're watching the disk of the sun 24 hours a day with a very rapid cadence. If somebody sees something, they can go get the data of what happened before and what happened afterwards. Can you explain the colors we see in these photos? Your eye cannot see these wavelengths of light. So there is no color assigned to this kind of light. So we just made them up. I don't call them false colors, because that implies we are trying to pull one over on people. 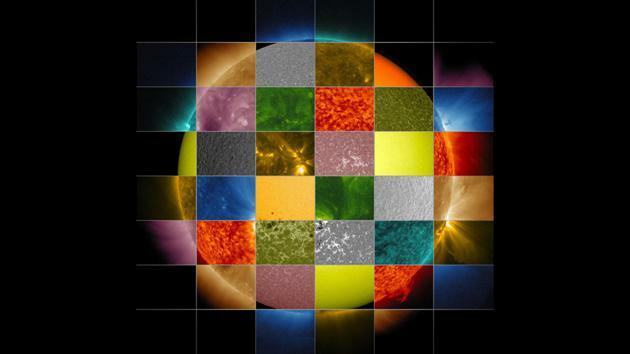 But they are coded colors so when we walk into a room, and they are showing images from SDO, we can say "Oh, that's the 171-channel." They are totally arbitrary. Otherwise you'd walk into a room and there would be all these black and white images and it wouldn't be nearly as fun. The SDO mission launched in 2010. 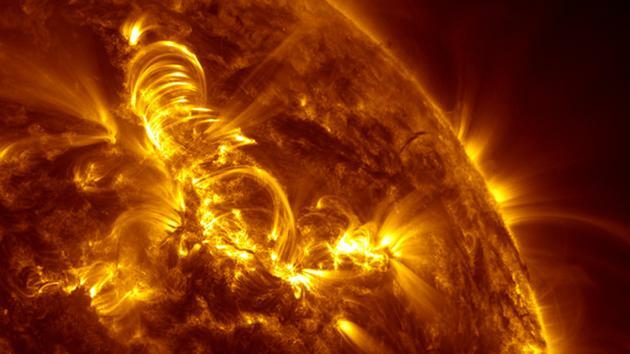 What's something new we've learned about the sun since then? 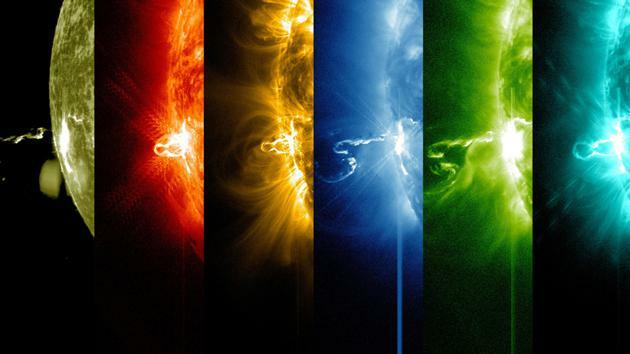 My favorite is what we call the late-phase solar flare. 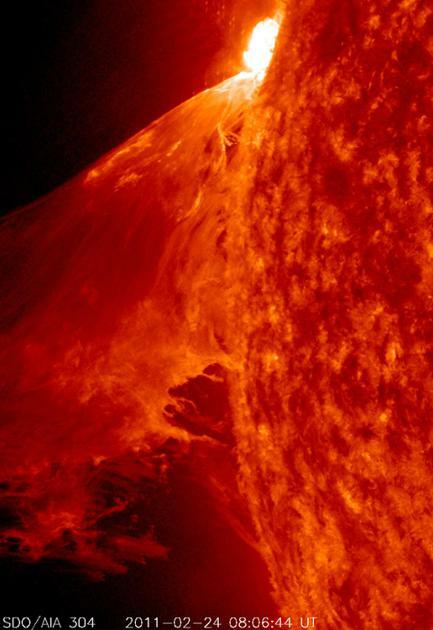 A solar flare is a bright flash of light, an amazing amount of energy that is released very quickly. And it's at very short wavelengths [X-rays, for example]. What we found was that if we sat and watched for a while, that same part of the sun would glow again, at longer wavelengths. More energy could come out in the second part of the flare than what was released in the flare itself. And these wavelengths are the things that affect our atmosphere a lot. X-rays come down deep into the atmosphere. But these other wavelengths are absorbed higher up, and could affect things like satellite drag and other properties that we worry about out in space. What the long-term goal of the mission? 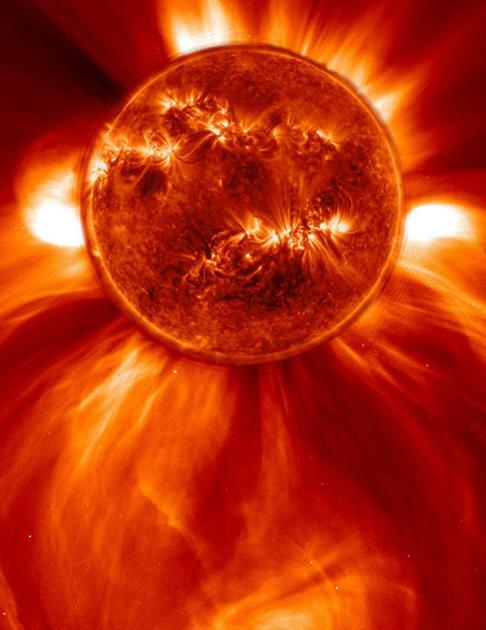 Our big thing is: Where does the magnetic field of the sun come from, and how does it get destroyed and ejected? That's what affects us. 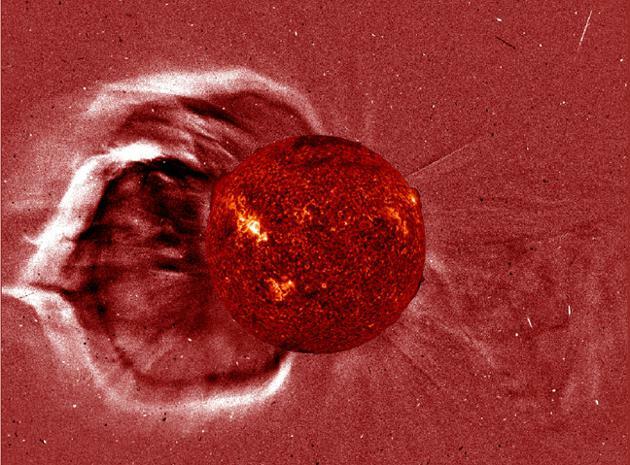 The sun has a strong magnetic field at the surface every 11 years, and we see that as sun spots. But we also see that as what we call space weather. [This solar activity results in increased satellite drag, which can knock a satellite out of its intended orbit.] So the satellites that we spend so much money on to put in space come down more quickly because of the drag. It affects our GPS navigation satellites, and even our power grid here on the Earth. 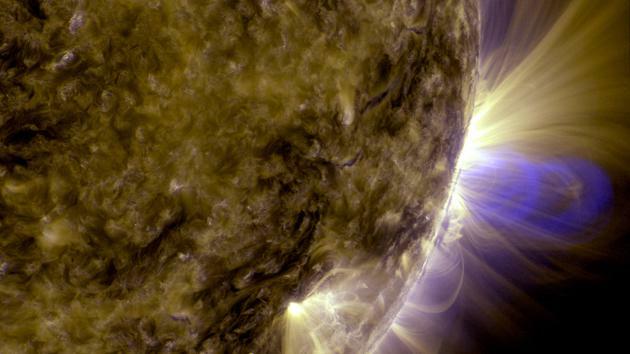 We want to know where that space weather comes from. And the only way to do that is to know what is happening with the sun's magnetic field. Power grid operators, especially in the northern parts of the United States and in Europe and Canada, actually listen to the space weather people now. Because they know if there's a significant amount of space weather happening, then they have to take precautions. They have to isolate certain transformers, they have to watch the current on their electrical transition lines. What has the public's response to the photos been like on social media? We've gotten an enormous amount of response from the public. We take a picture on SDO and people from the public are able to see it 15 minutes later, which is pretty fast for a space mission. I have a favorite movie. 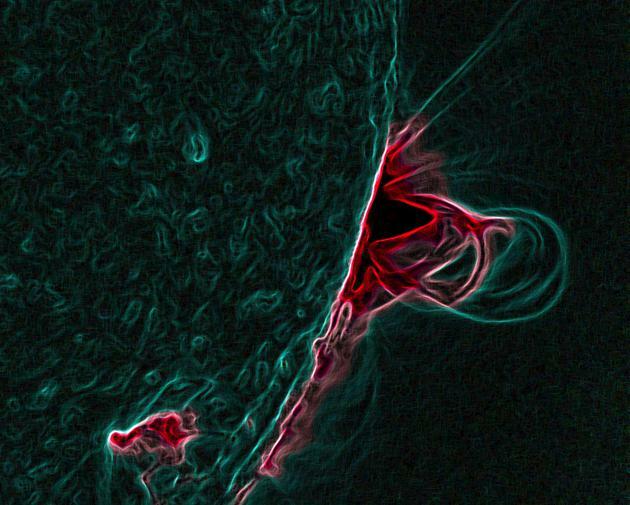 I call it the trebuchet prominence eruption. It looks like a medieval siege engine, a trebuchet, throwing a load up into space. That one was just the coolest. It shows all this detail—stuff flying away, stuff falling back down, stuff just kind of sitting there as if nothing's happening. Is this an example of something we wouldn't have been able to see before SDO? We couldn't have seen it in these wavelengths and we wouldn't be able to see the incredible details of these little notches of brightness falling down that would have been missed. We're taking pictures of the sun, and every once in a while one of these solar flares go off and it's a million times brighter than the stuff around it. What we would really like to have is to take pictures of the sun, and have the region where the flare is adapt—to not overexpose the flare region. 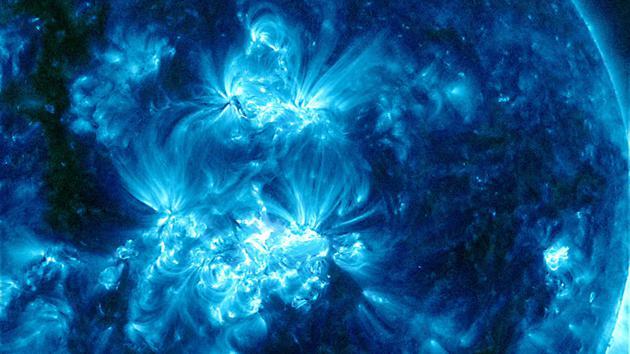 Because what we are finding is that flares go off and then we see waves moving away from that region of the sun. And those waves seem to be something extremely interesting. But if you do a shorter exposure to compensate for the flare being so bright, then those waves become more difficult to measure.